Jonathan said, "There are very many swans in the river next to there. 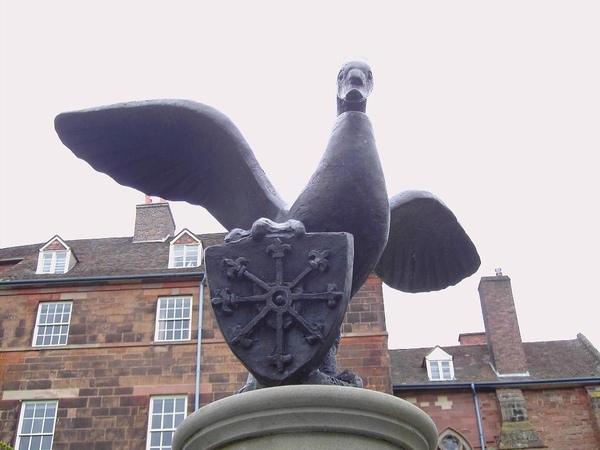 The statue was given by Worcester's twin city in Germany, Kleve. But the original one, which I saw many years ago, was stolen and never found. More recently, they raised money to cast a new copy of the sculpture, which is this one."